And for the last of my selection from Strange Loop 2015, here is "Propositions as Types" by Philip Wadler, based on my paper of the same name, which I am told will soon appear in Communications of the ACM. I received more compliments on this talk than for any other, which I take as one benefit of the friendliness and fun of the Strange Loop crowd. Thanks to Alex Miller and the crew for assembling a great conference! I have many more favourites from Strange Loop 2015, but for now I will just post the videos of my own talks. Here is "Everything Old is New Again: Quoted Domain Specific Languages", based on "A practical theory of language integrated query, by Cheney, Lindley, and myself and the eponymous draft paper, by Najd, Lindley, Svenningsson, and myself. Above is the Strange Loop talk, below the talks from Curry On, Prague, 2015 and DSLDISS, Lausanne, 2015. Third in my series of favourites from Strange Loop 2015. "Strange Loops: Capturing Knots With Powerful Notations" by Kay Ye. Ye has learned all about knot theory, and explains it to you. Great fun for anyone interested in how to describe complex situations, and which programming language afficionado can resist that? With beautiful hand-drawn slides. Strange Loop: "Security for Humans: Privacy and Coercion Resistant Design" by Morgan Marquis-Boir. Second in my series of favourites from Strange Loop 2015: "Security for Humans: Privacy and Coercion Resistant Design" by Morgan Marquis-Boir. Marquis-Boir is head of security for The Intercept, the online news source founded by Glen Greenwald and Laura Poitras, the journalists who Edward Snowden chose to be his conduit to the world. Morgan surveys computing and security as of 2015. Time to encrypt your phone! A selection of my favourite talks from Strange Loop 2015. First up, "From Protesting to Programming: Becoming a Tech Activist" by Idalin Bobé. It's a cliché to call a story inspiring, but Bobé's story inspired me. She began life in the Badlands in North Philadelphia and pulled herself up by her bootstraps to become a tech activist on the frontlines in Ferguson. If people in urban England and Wales cycled and walked as much as people do in Copenhagen, the NHS could save around £17 billion within twenty years. Shifting 10% of short urban trips outside London from car to cycle could save over 100 premature deaths from air pollution related illnesses annually. 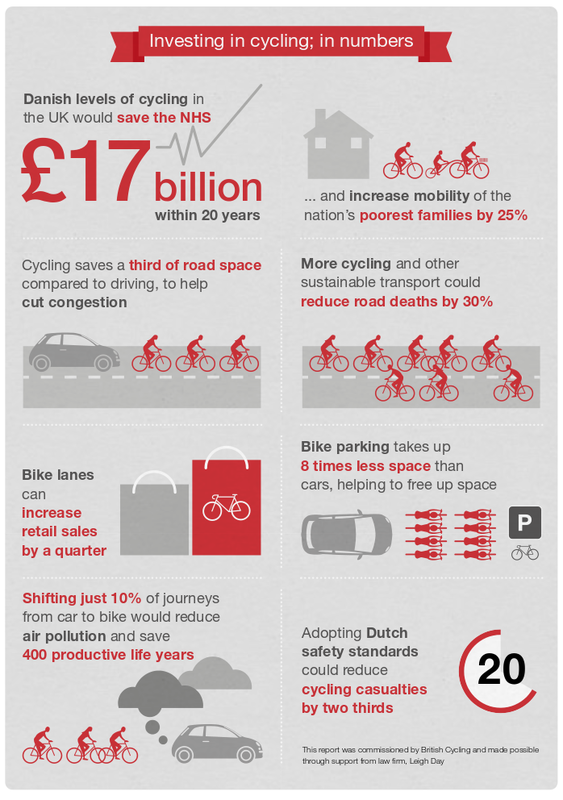 If cycling was as safe in the UK as in The Netherlands we would see around 80 fewer cycle deaths each year. Installing protected space for cycling can increase retail sales by up to a quarter. Spotted by Ewen Maclean. Thanks, Ewen! Chris Martens (@chrisamaphone) has founded Intersectional Types, a new mailing list for programming language researchers. I previously posted about Chris's research on linear logic and storytelling. 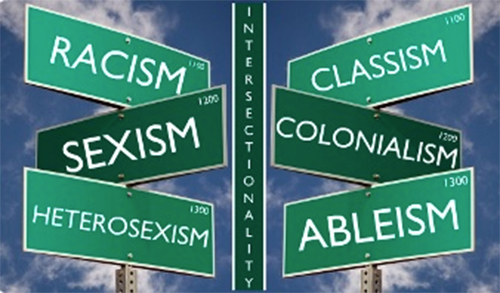 Intersectional Types, along with Lambda Ladies, marks an important step toward supporting diversity in the PL community. Well done, Chris, and welcome!